Hello, Dear Community! Really awesome speech about FastNetMon experience at ColoClue. Video here. Slides here. Hello, Dear Community! We have merged API support recently. You could check options here. We have built it on top of gRPC so you need to build GoBGP support because it has all gRPC libraries. Hello, Folks! We are working hard last week! And we could offer new brilliant feature! 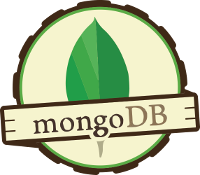 We have added MongoDB support. So we could store attack information here and we are looking for using MongoDB as configuration storage. Examples you could find here. Please ask me if you have any questions!